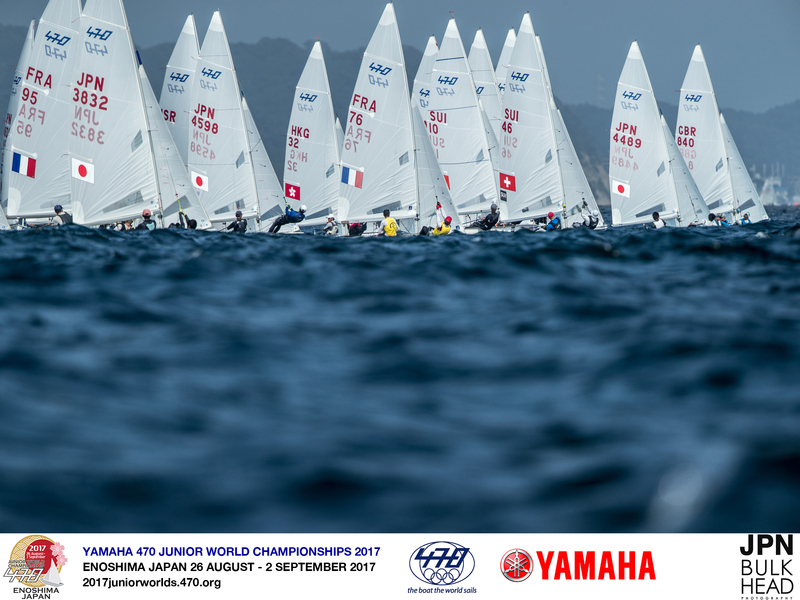 The final day of racing at the 2017 470 Junior World Championships enjoyed a superb 15-20 knot northerly breeze, as Typhoon #15 remained to the east of Japan. A last race at 1100 hours for teams not in the medal race was followed by the podium decider for the top ten men’s and women’s teams, all raced on course area B, much closer to shore. The breeze from the shore was shifty and gusty, jumping up to 28 knots, but building on the experience of the past two days of strong winds, teams looked much more confident and fully prepared for whatever the weather threw at that them as they headed out to the race track. 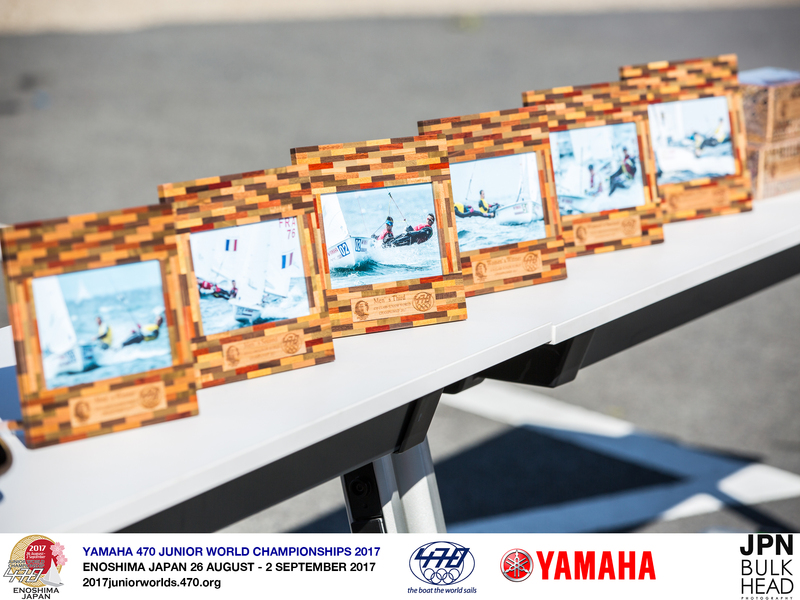 The Medal and Prize giving ceremony took place at Enoshima Yacht Harbour with traditional Japanese celebrations. 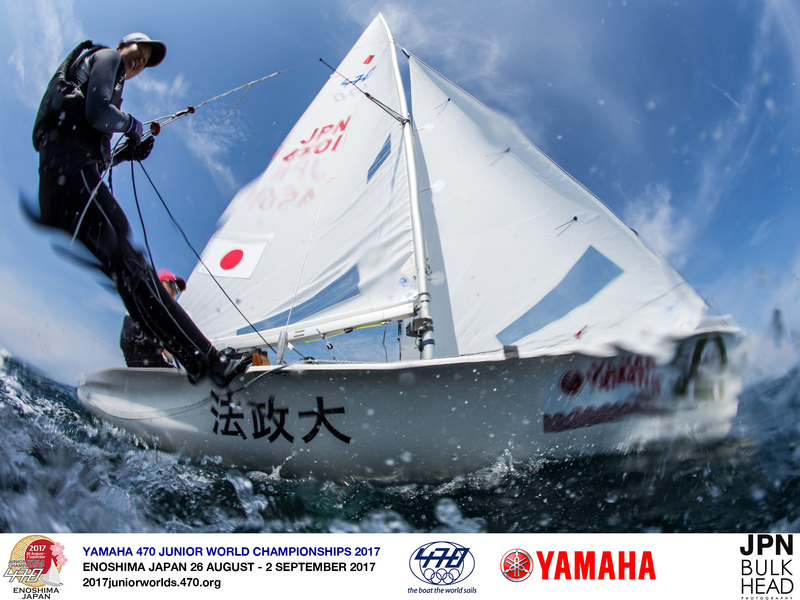 The next international event taking place in Enoshima is Olympic Week, 26-29 October, which will see the return of many of the 470 fleet. 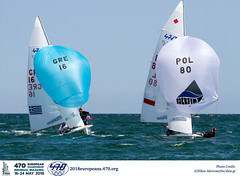 The Men’s Medal Race was a showdown between the top four boats, and as the race unfolded decision making was critical in the close tactical situations. 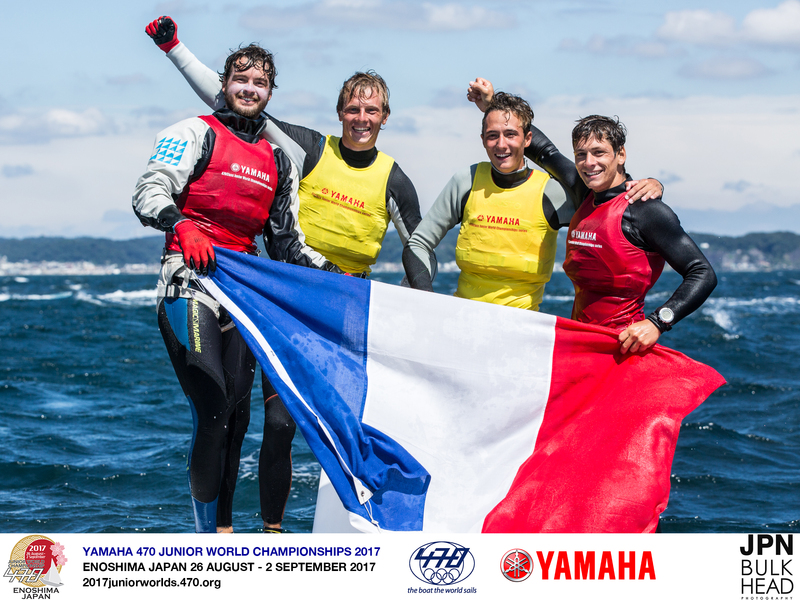 Series leaders Hippolyte Machetti/Sidoine Dantès were on target to win their first 470 Junior title, but had the significant matter of Japan’s Daichi Takayama/Naoya Kimura and team mates Guillaume Pirouelle/Valentin Sipan (FRA) to eliminate from gold medal contention. During the 2nd upwind leg of the windward/leeward course, Machetti/Dantes were covering Takayama/Kimura, and the Japanese were also keeping their eyes close on Piroquelle/Sipan. “Probably, one time, we had an opportunity to stay with Piroquelle/Sipan, but we wanted to break through the situation with Machetti/Dantes and beat them. We then saw Piroquelle catching a better gust,’ said Takayama. The Japanese finished the medal race in 5th to claim the bronze medal. 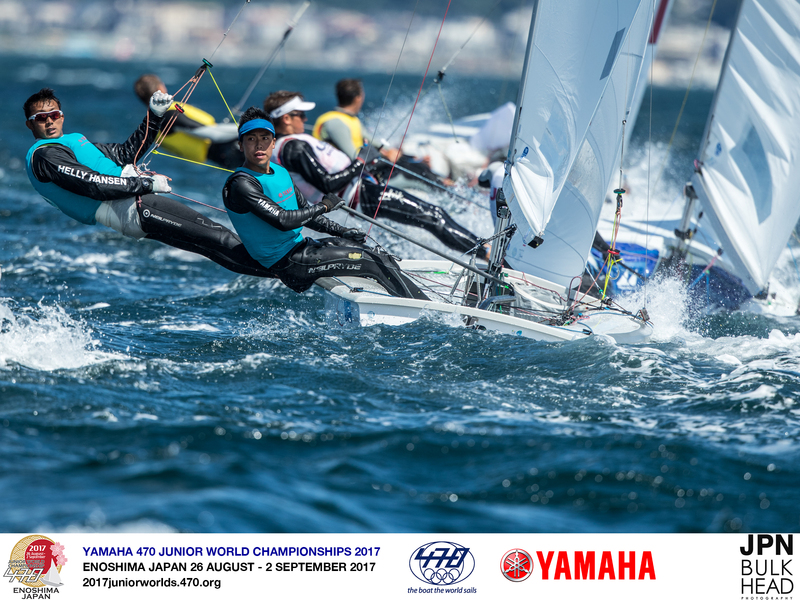 Machetti/Dantes did what they needed in the race, finishing 3rd, and with it claimed the 470 Junior World Championship title, and upgrading from their silver medal at the 2017 470 Junior Europeans last month. 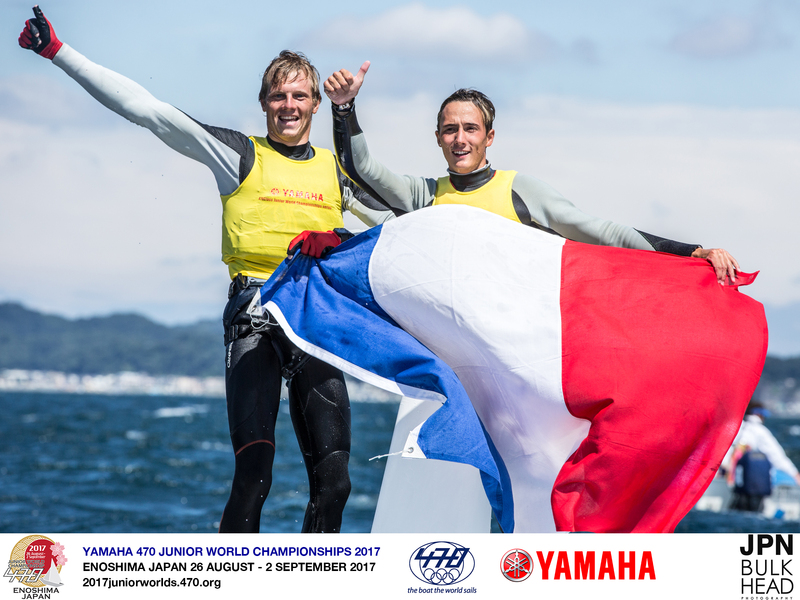 Silver to Piroquelle/Sipan, who themselves won the 470 Junior World title in 2015. 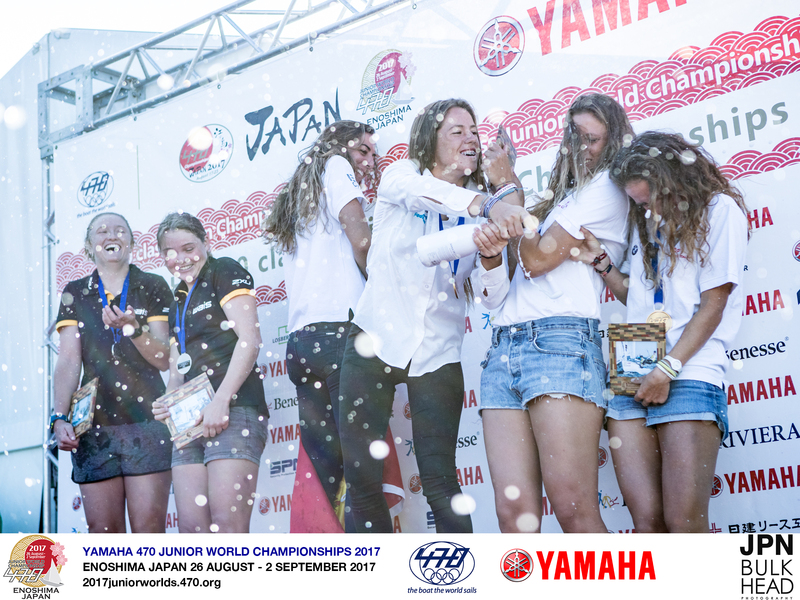 "It is totally amazing to win here in Japan the Junior World Championship," said an elated Machetti. "We really expected to make this result and we did it, so we can't be more happy today." Sidoine added, "It was hard work on the water because we had to control the Japanese to be first. We did it so amazing, we are really happy." The Women’s Medal Race was equally tense between Silvia Mas Depares/Paula Barcelo Martin (ESP)and Australia’s Nia Jerwood/Monique De Vries. At the bottom gate, Jerwood/De Vries had the advantage, whilst Mas/Barcelo almost capsized after gybing, and rounded in the back half of the fleet. 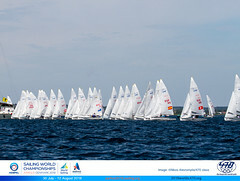 This position change was enough to hand the gold to the Australians, but in the second upwind all change as the Italian teams and France’s Marina Lefort/Lara Granier overhauled the Aussies. 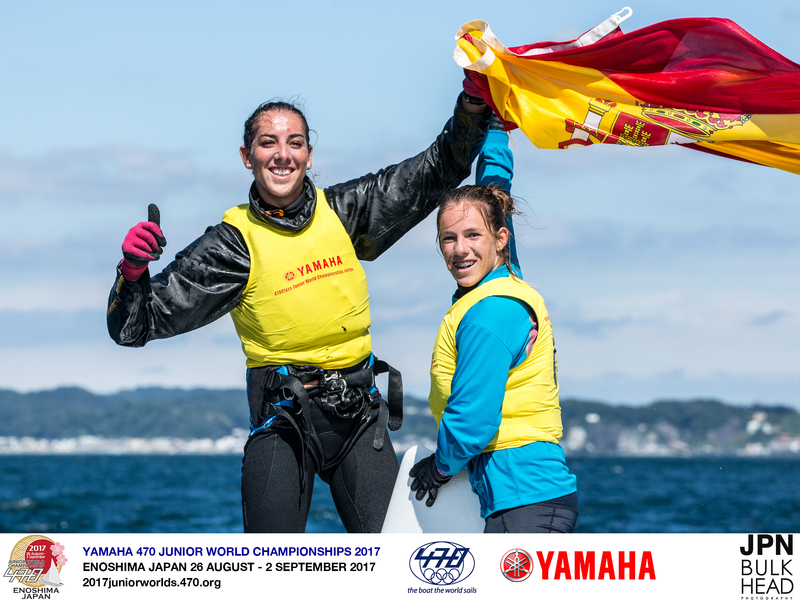 The Spanish partnership managed to recover to finish the medal race in 6th place and win the gold medal and their second successive 470 Junior World Championship title. 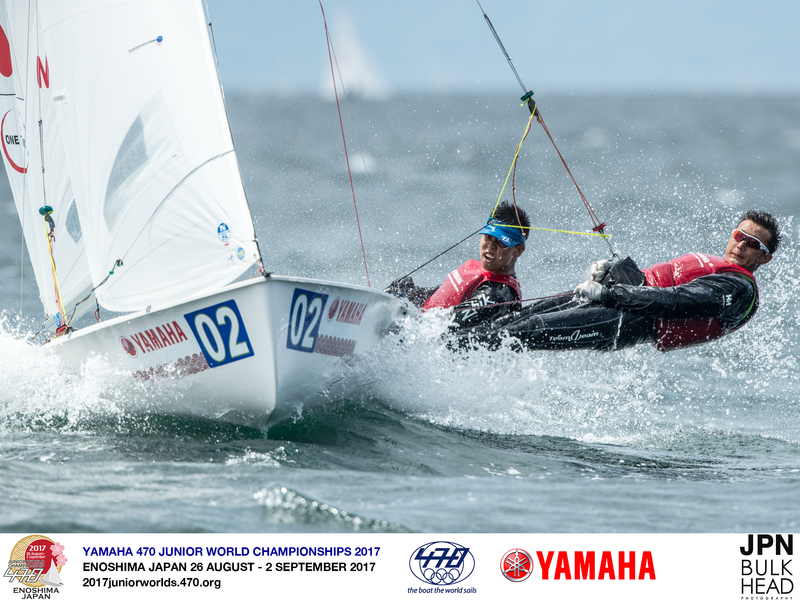 "It feels amazing to win the Junior Worlds with Paula as crew," commented Mas. 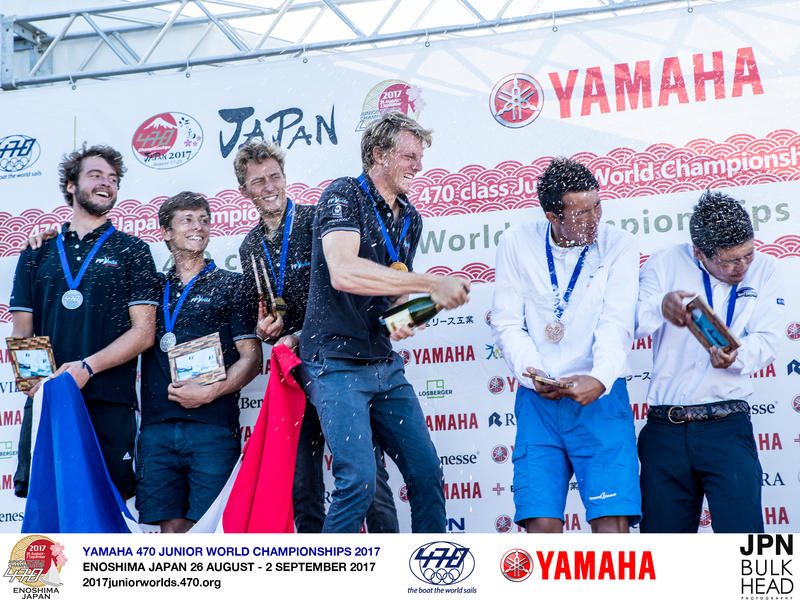 "We are very happy, as it has been a difficult week with all conditions and very windy, and finally everything was very tight and now it is over and we are really happy to win here in Enoshima." Silver to Jerwood/De Vries and bronze to Ilaria Paternoster/Bianca Caruso (ITA). "This is a very valulable regatta for us and is the first stepping stone in our campaign towards 2020," reflected Jerwood, "and we are looking forwards to the next 3 years of working hard and we've got a few more regattas ahead of us at the end of the year, and we look forward to coming back here for Enoshima Olympic Week." All these teams have evolved their 470 careers alongside each other, and stepped into the 470 from the 420 Class. Their rivalries will continue in the campaign to Tokyo 2020 with the first Olympic qualification event next year at the Sailing Worlds in Aarhus, Denmark. 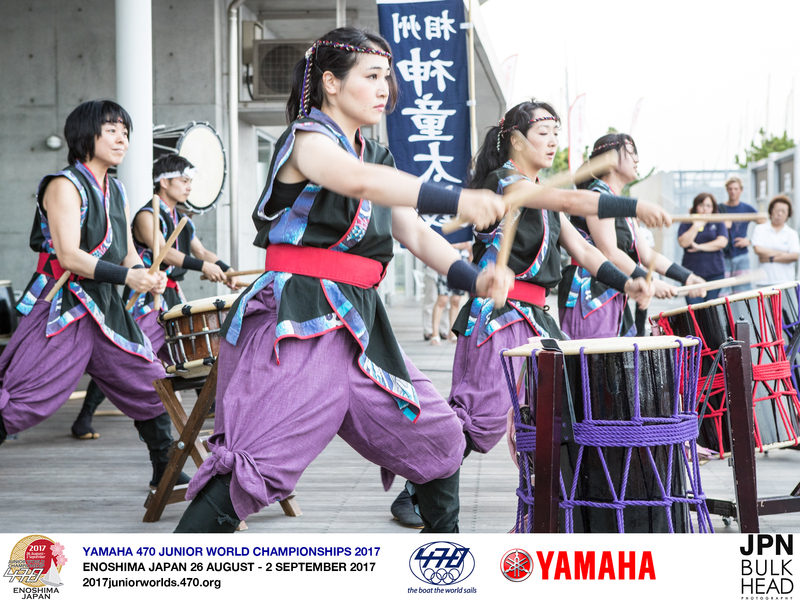 Teams will return to Enoshima for the 2019 470 World Championships, which will also be an Olympic qualification event. 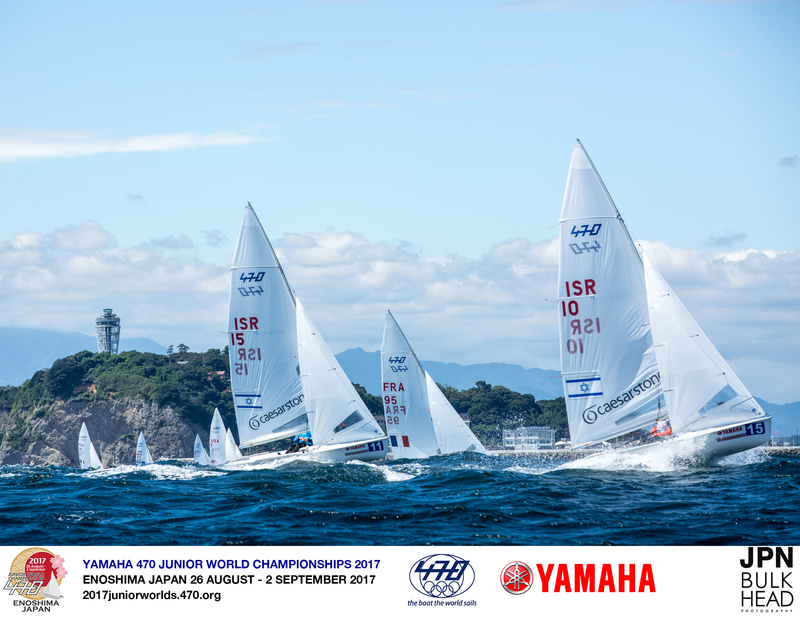 The experience of racing in Enoshima, on the waters that will host the 2020 Olympic Games has been hugely beneficial, with light and strong winds as well as the Typhoon impact putting teams on notice of what to expect on the Olympic race track. Videos will be published on Facebook, YouTube. PRESS RELEASES - daily press releases will be published on the Championship website and distributed. You can sign up via the "SIGN UP FOR NEWS" link on the bottom right of the Championship homepage. 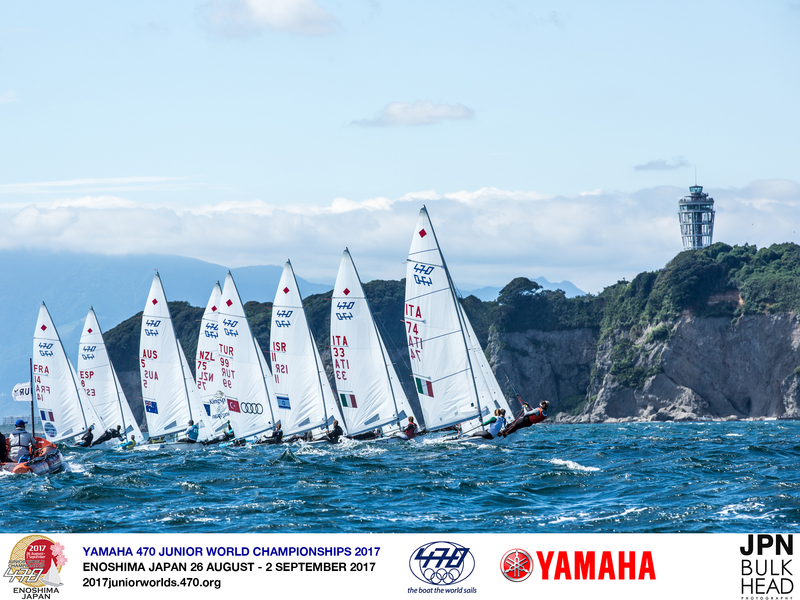 The 2017 470 Junior World Championships, 26 August-2 September 2017, is organized by the Japan 470 Class Association and Kanagawa Prefecture Sailing Federation at the venue of the 1964 Olympic Sailing Competition and sailing venue for the 2020 Tokyo Olympic Games, Enoshima Yacht Harbour. 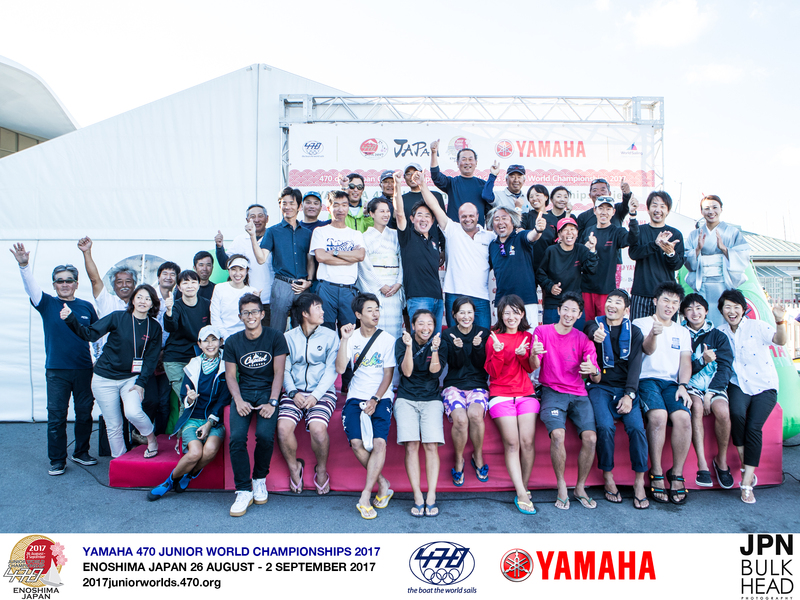 The Championship is organized in co-operation with the Japan Sailing Federation and with support of the Japan Sport Council. 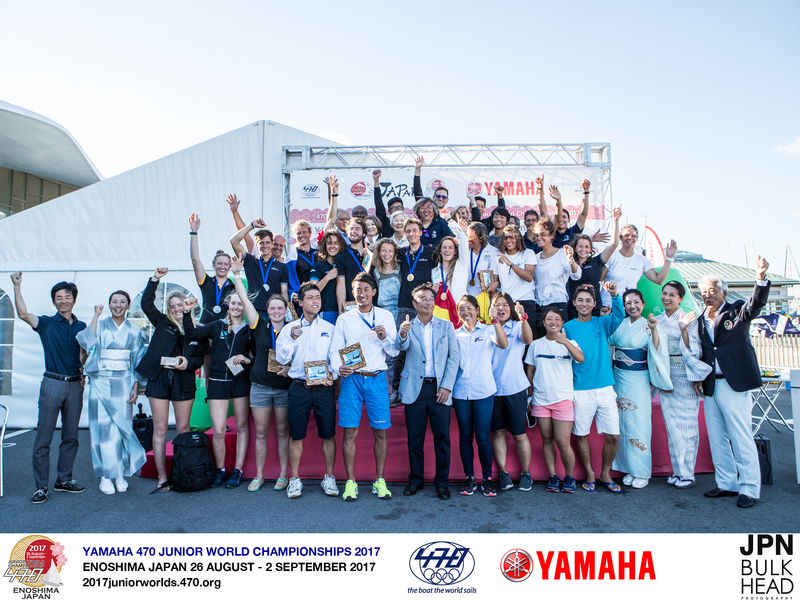 One hundred and twenty-six athletes representing 16 nations are competing at the 2017 470 Junior World Championships, who are all aged 23 years and under: Austria, France, Great Britain, Hong Kong, Hungary, Israel, Italy, Japan, New Zealand, Poland, Spain, Switzerland, Sweden, Turkey, USA. 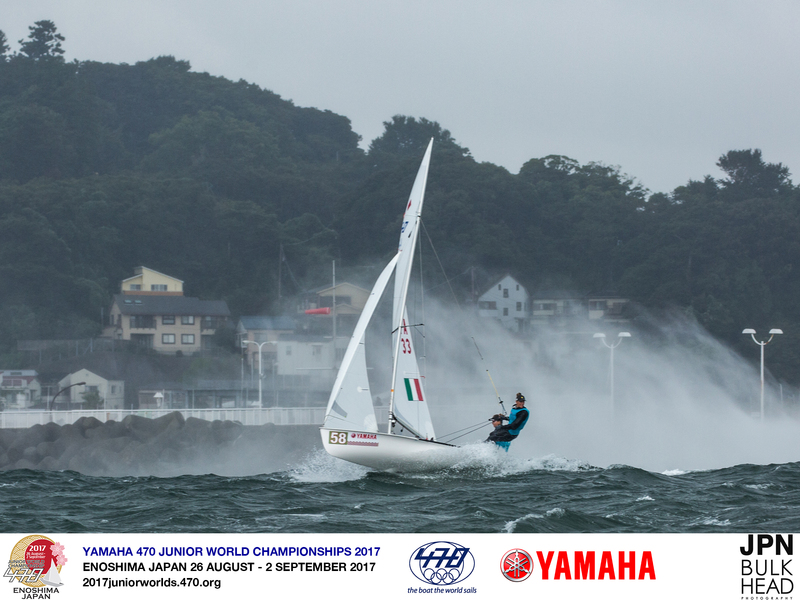 The final day of racing at the 2017 470 Junior World Championships enjoyed a superb 15-20 knot northerly breeze, as Typhoon #15 remained to the east of Japan. A last race at 1100 hours for teams not in the medal race was followed by the podium decider for the top ten men’s and women’s teams, all raced on course area B, much closer to shore. The breeze from the shore was shifty and gusty, jumping up to 28 knots, but building on the experience of the past two days of strong winds, teams looked much more confident as they headed out to the race track and fully prepared for whatever the weather threw at that them. 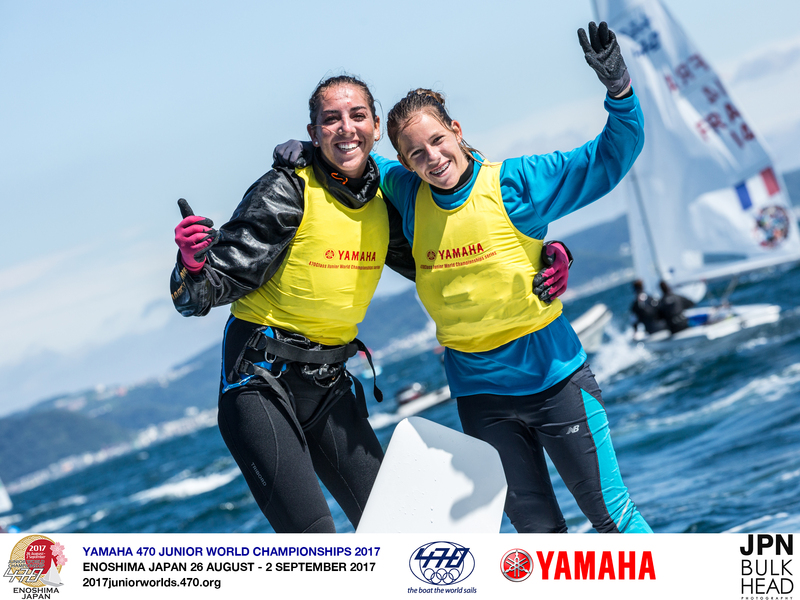 Machetti/Dantes did what they needed in the race, finishing 3rd, and with it claimed the 470 Junior World Championship title, and silver to Piroquelle/Sipan. 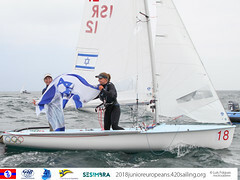 The Women’s Medal Race was equally tense between Silvia Mas Depares/Paula Barcelo Martin (ESP)and Australia’s Nia Jerwood/Monique De Vries. At the bottom gate, Jerwood/De Vries had the advantage, whilst Mas/Barcelo almost capsized after gybing, and rounded in the back half of the fleet. 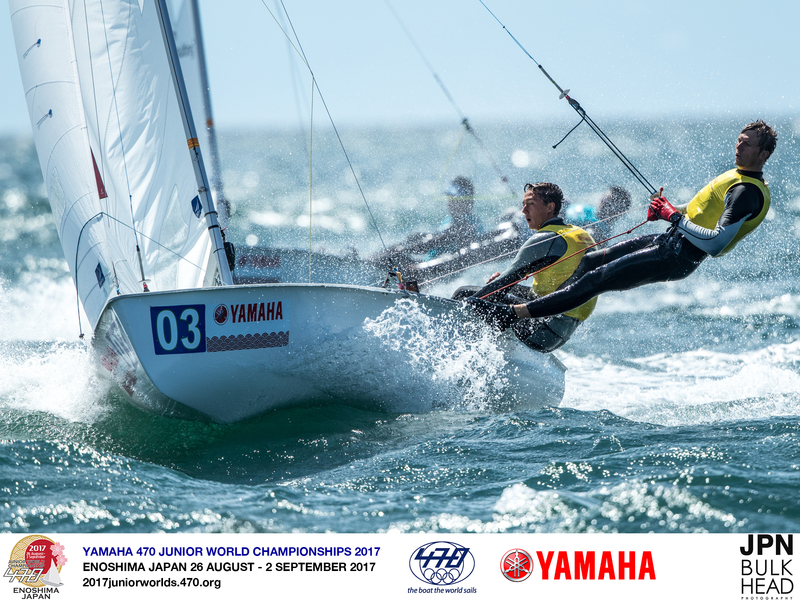 This position change was enough to hand the gold to the Australians, but in the second upwind all change as the Italian teams and France’s Marina Lefort/Lara Granier managed to overhaul the Aussies. 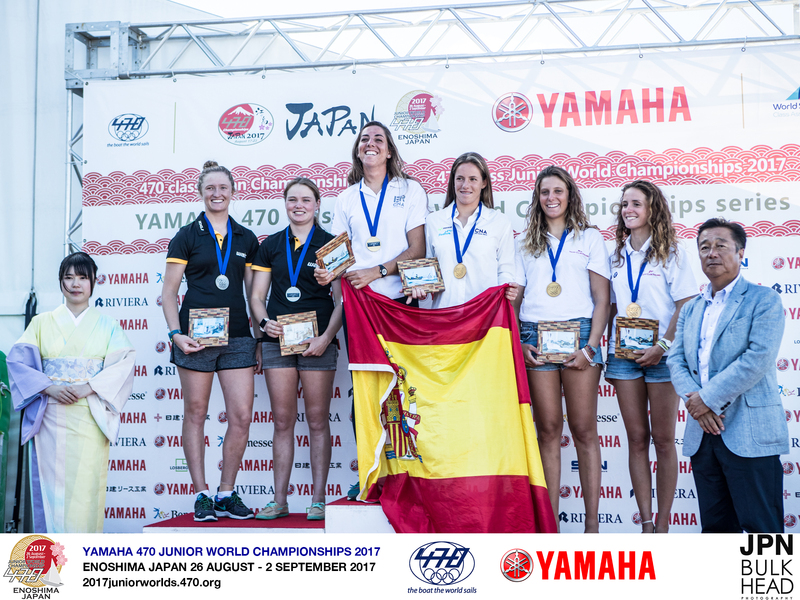 The Spanish partnership managed to recover to finish the medal race in 6th place and win the gold medal and second successive 470 Junior World Championship title. The experience of racing in Enoshima, on the waters that will host the 2020 Olympic Games has been hugely beneficial, with light and strong winds as well as the Typhoon impact.